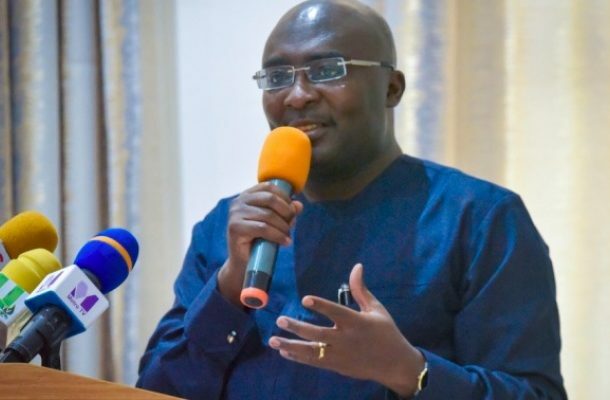 The government of President Nana Addo Dankwa Akufo-Addo is determined to leverage the advantages of technology to address the challenges Ghana has faced over the years, Vice-President Dr Mahamudu Bawumia has said. Thus, the infusion of technology into national life, evidenced in the introduction of a National ID Card, Digital Property Addressing System, Mobile Money Interoperability, paperless systems at the port, to name a few, are reflective of the Government’s commitment to the application of technology to resolve Ghana’s age-long challenges. The Vice-President of the Republic, Dr Mahamudu Bawumia, reiterated Government’s resolve on technology application when he addressed the 2nd Africa Biennial Conference of the International Communication Association (ICA) hosted by the School of Information and Communications, University of Ghana, Legon on Wednesday 7th November, 2018. “We have long lived with public sector inefficiencies in the educational, economic and land administration sectors,” Vice-President Bawumia noted. “But now we see how information and communication technology have revolutionised our ways of keeping records and processing information in these sectors. The story is the same in our banks, hospitals, courts and other government departments. Enumerating some of the successes already chalked in the course of the digitisation agenda, including improved turnaround times at the Ports, greater financial inclusion for the large unbanked population, more efficiency in the acquisition of passports and the virtual elimination of corruption in the acquisition or renewal of Drivers’ Licences, Vice-President Bawumia indicated that many more technological applications are either being fine-tuned or would be implemented soon. These include making top-notch senior high school tuition accessible through the soon-to-be-launched I-Box, via which lectures of tutors in A Class schools will be recorded and made available to all schools across the country, and the outdooring of an emergency number linked to the Police, Fire Service and the Ambulance Service, as well as the Digital Property Address System to make emergency service provision quicker. Government, Vice-President Bawumia assured, would stay the digitisation course to improve the lives of the ordinary citizen.